It is so much easier for me to make Michael healthy meals. I feel like he just has a plethora of options that I, being a picky eater, do not. But in some ways it makes cooking for him sort of fun-I get to be creative! Improvise! And that is what happened when I made this tilapia. First I just wanted to make some sort of baked fish. Then I decided to make a packet I had of Hodgson Mill garlic herb quinoa. Then I was like, "Hey. Let's use some Star garlic cooking oil and cook some spinach up too." So I did those things. And served them. And Michael was like 'Om nom nom." 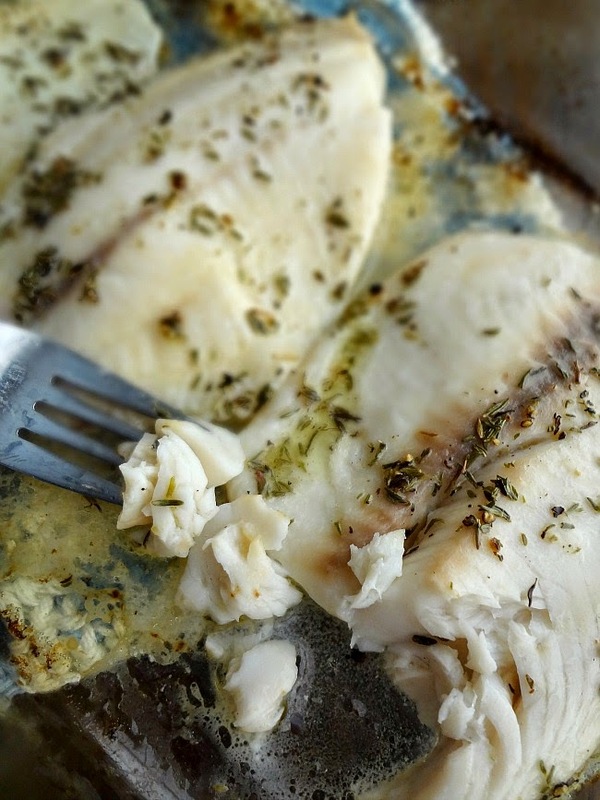 The fish is flaky and tender and the little bit of sauce that the tilapia cooks in adds just the right amount of flavor while still keeping this a pretty healthy dish. And I like this recipe because it doesn't smell as fishy as other things do....#realtalk. Honestly, I'm crazy proud of this recipe-it'll take you no time at all to make (so no excuses for not having time for healthy dinner! ), can be easily doubled (if you're entertaining or have a large family), and Michael raved about it. Restaurant-quality eating with all the comforts of home! Lightly grease a baking dish (7"x11" or 9"x13" or whatever you have that will comfortably fit the fish) with nonstick cooking spray. Preheat oven to 425F degrees. 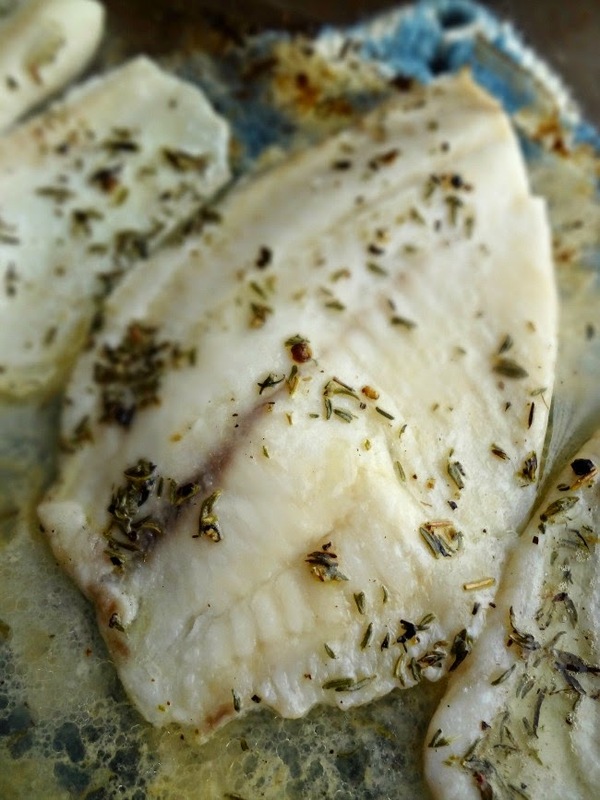 Mix together the melted butter, lemon juice, salt, pepper, and thyme. 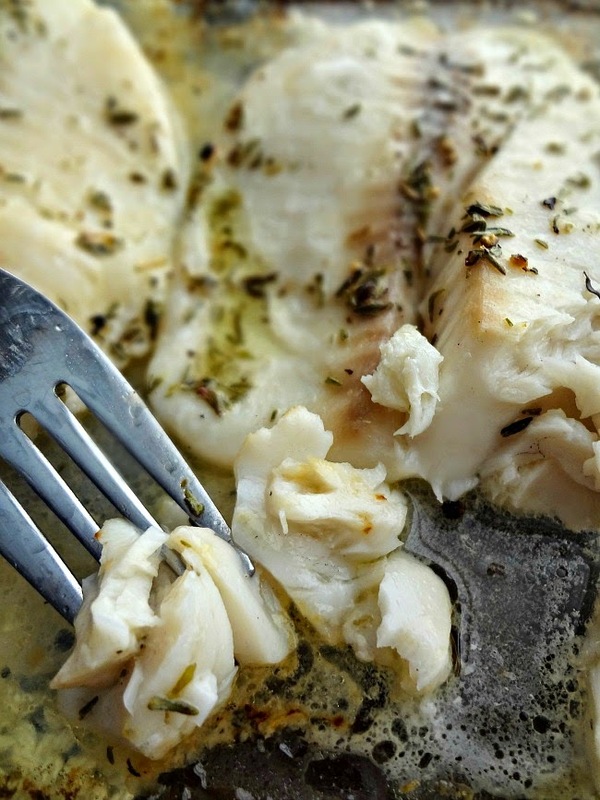 Place fish fillets in the prepared dish and lightly coat with the lemon butter mixture. 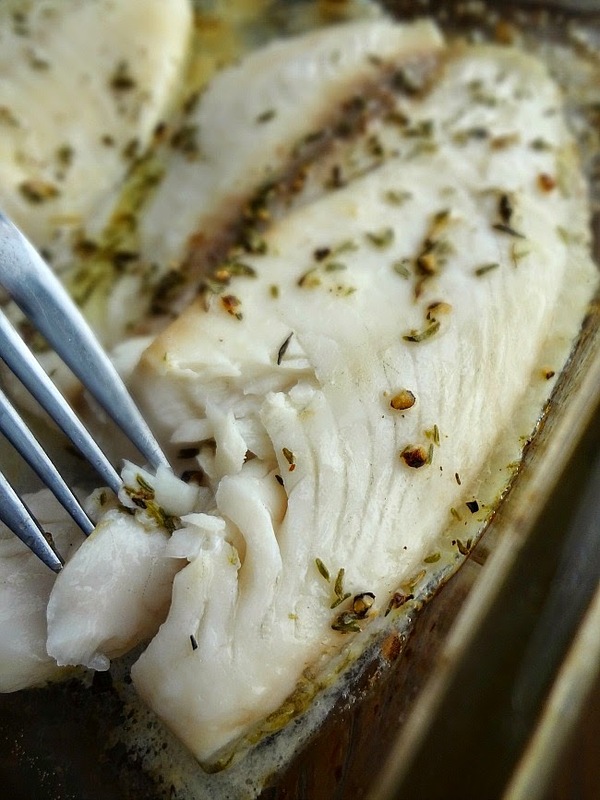 Place in the preheated oven and bake about 15 minutes-until the fish is a solid white and flakes easily with a fork. Serve with some of the lemon butter sauce that it cooked in! Michael wants me to make him some more. Disclosure: As a part of ongoing partnerships I received complimentary product from Hodgson Mill and Star Fine Foods. I was not compensated or require to write a review. All opinions are my own.